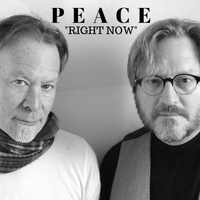 Marvin & Gentry | Official Site of Singer/Songwriters | music : PEACE "RIGHT NOW"
Originally recorded and released in 1997 by Peace (Dan Peek, Ken Marvin and Brian Gentry). This is a brand new digitally remixed and remastered version with Paul Winkler (drums), and additional backing vocals by Marvin & Gentry. Engineered & Mixed by Chris Brush (Nashville 2018). © 2019 Marvin & Gentry. All Rights Reserved.